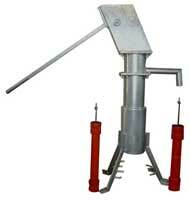 We offer the best quality Deepwell Hand Pumps in the international market. The Deep Well Hand Water Pumps offered by us have discharge capacity of minimum 300 ml per stroke or 12 Ltr./40 stroke completed in 1 minute. They are made from high quality cast iron or stainless steel metal. 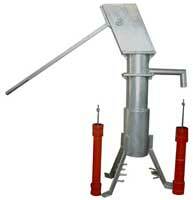 Besides, we are one of the prime India Mark Ii Deepwell Hand Pumps Manufacturers in India.